We’ve been blessed by the second film from writer and director Jordan Peele, and this one is something really rather special. A little advice upfront: Us is best experienced knowing as little as possible, so definitely read this after you’ve seen the film if you want to go in completely blind. After the barnstorming success of 2017’s Get Out, including an Oscar for Jordan Peele’s screenplay, the expectation for Peele’s follow-up to deliver was palpable. When Us was announced back in May 2018, the internet naturally went into overdrive trying to figure out exactly what it would be about, and as release day has inched ever closer, Peele’s cards have remained very close to his chest. Finally, Jordan Peele’s Twilight Zone inspired sophomore outing is now here, and after the anticipation and expectation piled on Us before even a trailer was released, we can now finally take the film on its own merit. While Jordan Peele might have been reluctant to label his cinematic debut as a horror film, there’s absolutely no denying that Us is anything else. Peele has truly immersed himself into the genre here, with a script and direction that, despite openly paying homage to the suspense thrillers of Hitchcock and Kubrick’s The Shining, very much ploughs its own furrow. Writer Joe Hill recently said that horror is about “extreme empathy”, and it’s a spot-on description: good horror isn’t sadistic to its characters, and instead forces us to root for our protagonists to make it through their torment in one piece. Jordan Peele clearly subscribes to this interpretation of horror, eschewing jump-scares and meaningless torture in favour of a character driven high-concept nightmare. 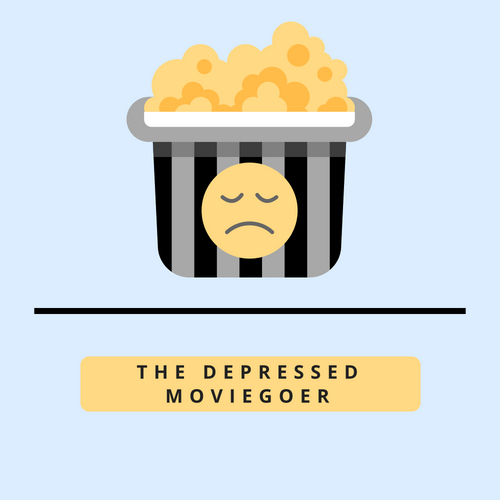 As an ardent fan of the genre, I’m always looking for a horror film to scare me (from past reviews, you can see I’ve not had much luck there), and I’m delighted to say that Us terrified me. From the start of the film, Peele allows the dread and terror to build subtly, in a script laced with humour and entirely believable character moments. The film’s central family are built up so well and so effortlessly by each actor that when events take an inexorable dark turn, there’s not one member that I found myself fearing for at any time. By the time the film began its final movements, I felt completely overwhelmed by the unrelenting darkness that this film trades in. Of everyone though, this is Lupita Nyong’o’s film. Her two roles here – family matriarch Adelaide and her mirror image, Red – are the main bodies and soul of Us, and I honestly can’t think of a finer set of performances from an actor in recent memory. 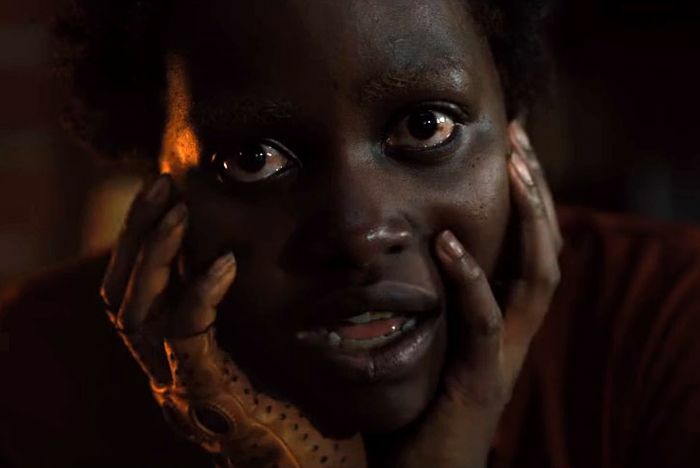 She is truly astonishing here, and against Winston Duke’s lighter performance as her husband, Nyong’o’s performance casts a large shadow over the whole of the story. It’s testament to Us that, after barely a day (at time of writing) of release, so many people already have numerous interpretations of what the film means, and what its message may be. Someone once said that a great film reflects what its viewer brings into it, and Us fits that bill perfectly. When I watched this film, I had the feeling that I was watching something which would be studied and analysed for decades to come, upon reflection I’m only more certain that that’s the case. That said, this is no self-serious movie, and as mentioned before in relation to Duke’s performance as Gabe, the father of the family, Peele negotiates a delicate balancing act of terror, comedy and social commentary which manifest themselves in the knowing smiles of the film’s sinister, scissor-wielding doppelgängers. It’s a film to be seen with a rapt audience, and while the film’s content will no doubt put off some people, I’ve no doubt that many more will be discussing Us with others for years to come. There is so much more that I want to say about Us, and when the dust settles after its release weekend, I may well delve a little deeper into the film. For now, as far as I’m concerned, Us is an instant classic, and one that will no doubt confirm Jordan Peele’s position as a horror master. For a filmmaker who is two films into his career, to see those two films end up being classics of their genres is something really rather special. What’s far more encouraging though, is the feeling that he’s still got so much more to give, which could mean we’re in for something even greater down the line.